Tag Archive | "Pastor Scott Sloan"
Ruth L. McMullen 87 of Cedar Springs, died Sunday, November 12, 2017 at Metron of Cedar Springs. Ruth was born July 17, 1930 in Elmhurst, IL the daughter of Clarence and Olga (Gorling) Yeaw. 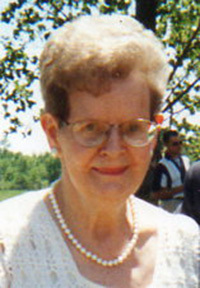 She was active at the Cedar Springs Senior Center for many years and enjoyed playing cards, games, bingo and puzzles. Surviving are her children, Karen Bansen, David (Sherry) Patterson, Steven (Theresa) Patterson, Ray (Van) Patterson; 11 grandchildren; many great grandchildren; sisters, Elizabeth (Louis) Hartesvelt, Marian Yeaw. The service was on Wednesday, November 15 at the Bliss-Witters & Pike Funeral Home, Cedar Springs. Pastor Scott Sloan officiated. Interment Elmwood Cemetery, Cedar Springs. Memorial contributions may be made to Faith Hospice.